A bicolour cap with a strong racing look. 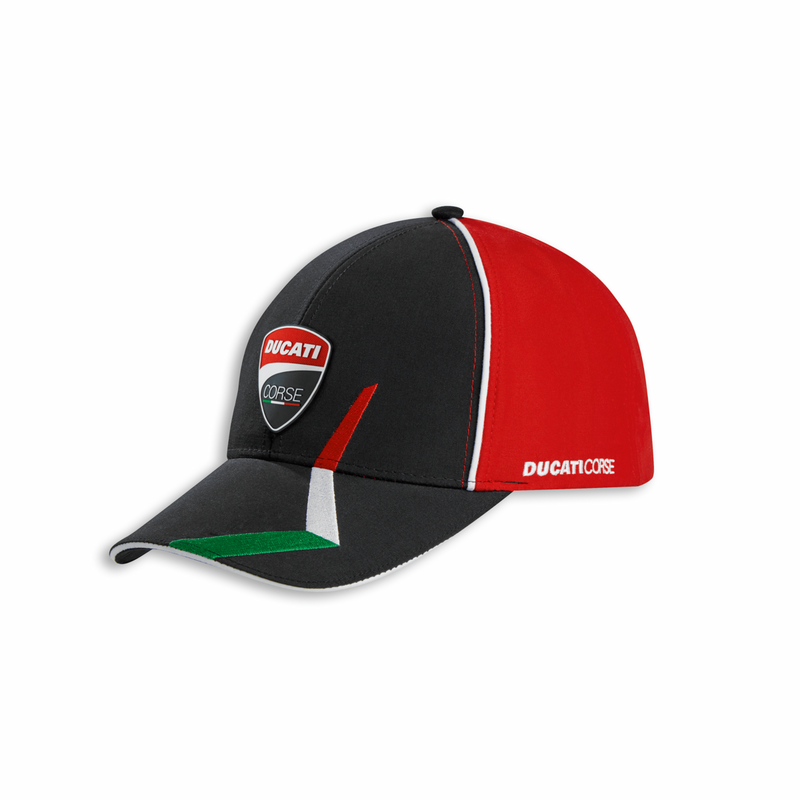 With contrasting piping, embroidered tricolour on the visor and a Ducati Corse patch on the front. The essential accessory for all the smallest fans.